Oat Beta Glucan is an incredibly moisturizing ingredient for glowing skin. Oat Beta Glucan is an incredible active for glowing skin. Skin aging; like most other physiological phenomena, is the result of many things. Though it is impossible to literally stop aging, only a little percentage of the aging process is genetically determined. There is more you can do to control it than you have ever imagined. It’s no secret that your body needs the right nutrients to fight the aging consequences. By identifying the correct ways of protecting your skin, you can generate amazing results that will make you feel like you are reversing your age. Along with the consumption of natural healthy food, it is vital that you treat your skin externally with the right and the most appropriate products with effective ingredients. When mentioning the effective skin care ingredients, how can anyone forget about ‘Oat Beta Glucan’ which is an all-natural, effective, safe and incredibly moisturizing ingredient that boasts a long list of benefits, including healing and hydrating your skin. The results from products that contain ‘Oat Beta Glucan’ can be seen in less than 10 days! The reason is that it is an active accelerator that helps the other actives in any formula to penetrate the skin well and faster. It also stimulates collagen production, activates immune cells, reaches the dermis where wrinkles form, diminishes fine lines and roughness by 10-15%, also increases firmness, and reduces scarring. Best of all it is an anti-irritant ingredient that is suitable for any type of skin. 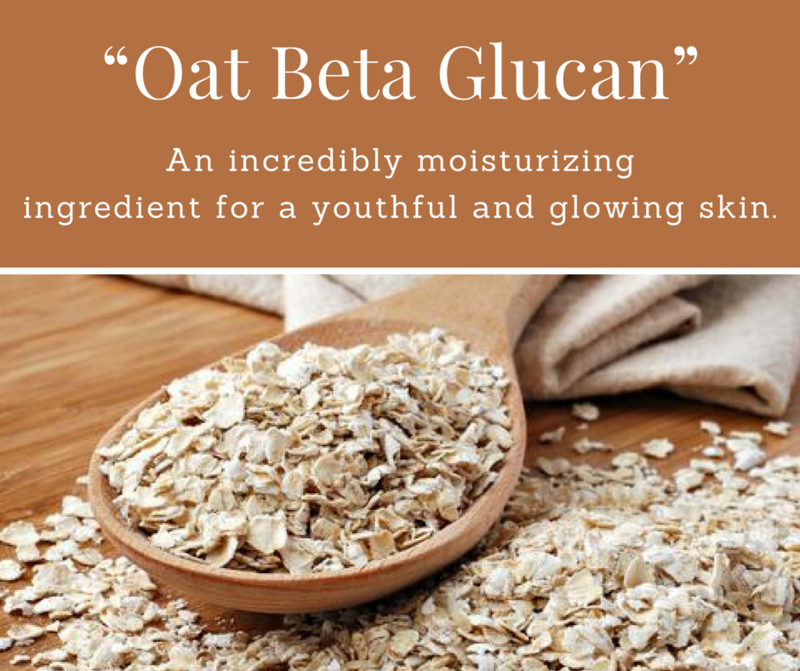 Let us at NCN Professional Skin Care guide you through certain long-lasting client favorite skin care products that contain this amazing ingredient, Oat Beta Glucan. Our VOLU-LIFT Recontouring Face Cream with Ceramides has the power to add volume and lift skin, decrease wrinkles, attract and retain moisture, and calm skin. Don’t forget that it’s also a strong antioxidant! It hydrates all skin types without being heavy or greasy. Vitamin C+ Serum with Vit. E, Ferulic Acid & Glutathione is another top product with Oat Beta Glucan that will improve your skin clarity and tone as well as it’ll help fade dark spots and make your skin glamorously beautiful. We’re able to create such powerful and transformational products that bring results; because the main actives as Oat Beta Glucan work in synergy, producing a more effective redefined facial contouring than if any of them were to be used individually. Do not wait to experience the benefits of this and feel what Oat Beta Glucan can do for your skin! Aloe Vera Benefits, a natural remedy for relieved skin.